1.This machine adopts Siemens CPU216 programmable logic controller(PLC) as the controlling system,it is reliable.The Feeding length,producing speed and other parameter are easily set,it is integration of Gas&Electrical,centralized control,automated production. 2.Feeding,punching,scrap collecting is running automatically. 3.The accurate press adopts steel plates joining body,variable frequency speed regulation,dry type friction clutch to clutch-on-off,rigid over-load protector to protect the press.In short,this is a high accuracy and reliability press. 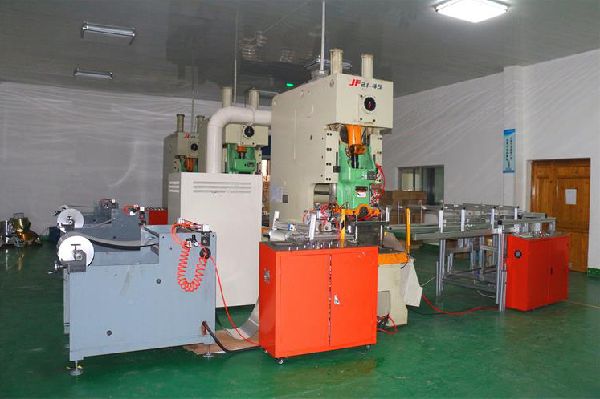 (1)This full making machine work automatically. Worker control and regulate this plant through electric control panel, including the air-pressure and electricty. (2)The Max. Width of decoiler is about 650mm. The Max. Diameter of foil roll is 600mm. 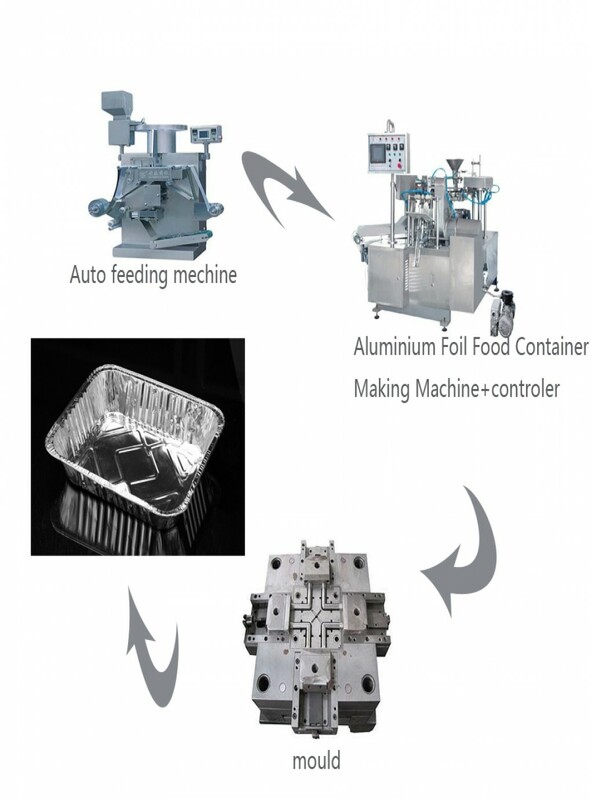 (3)There is an auto-lubricator on the feeder, which can lubricate aluminium foil automatically. 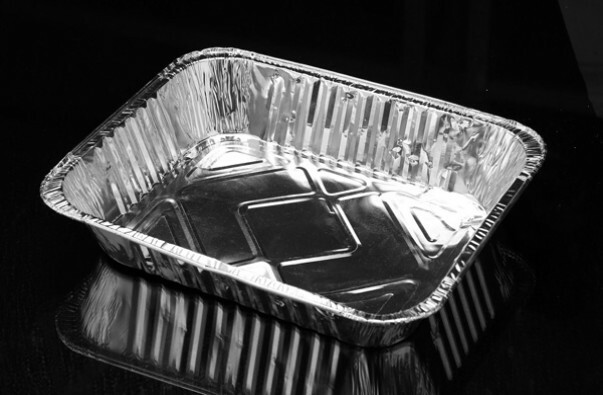 (4)The foil feeder provides the supply of right quantity and length of aluminium foil, and it is controlled by computer, which assure a high-precision step. 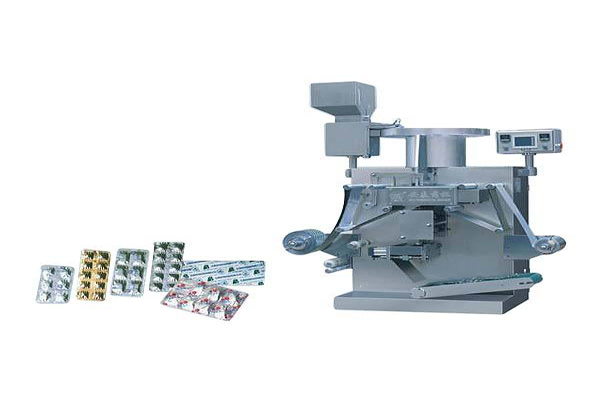 (5)The press can be equipped with single cavity or multi-cavity moulds for producing wrinkle-wall or smooth-wall container. 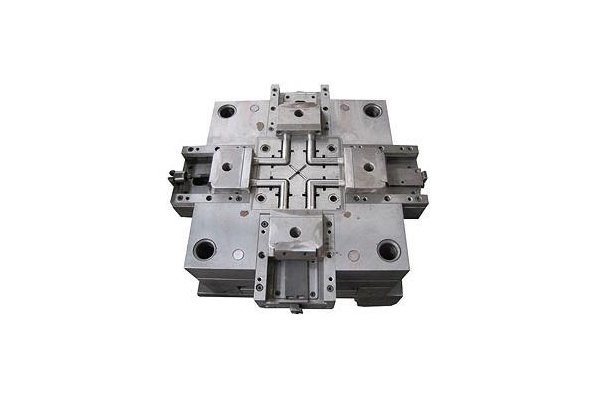 It is equipped with a mould lifter which can lift and low the mould automatically when change a mould.